Storey Wrecker the real story.. In 1960, Al and Jenell Storey began to build their wrecker service empire with a small, two-pump, one-bay service station at Sixty-third Street North and Peoria Avenue. While Al worked at the MidContinent Refinery to pay the bills, Jenell kept things running smoothly at the station. A few years later, the Storeys moved to a larger DX station at 4604 North Peoria Avenue. 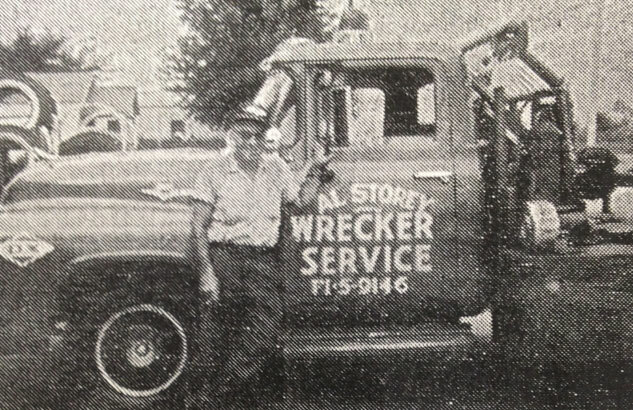 Much to the dismay of his wife, Al took out a second mortgage on their home to purchase his first wrecker from salvage-he named it "Little Red." As the business began showing a profit, they added more wreckers and Al retired from the refinery. Jenell remembered the period well, "It really got to be quite a job. 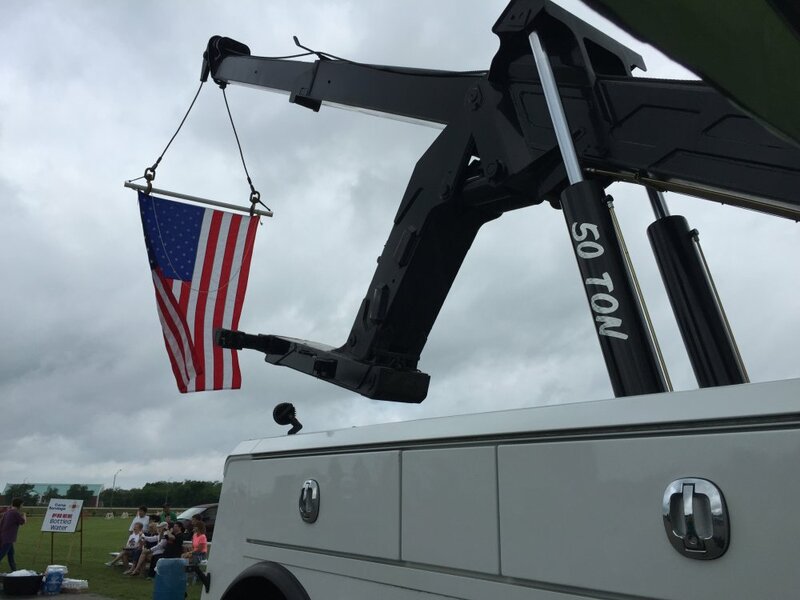 We were towing for dealers and we also did a lot for the highway patrol." In the early 1970's the Storeys moved to another service station at 742 North Lewis Avenue. 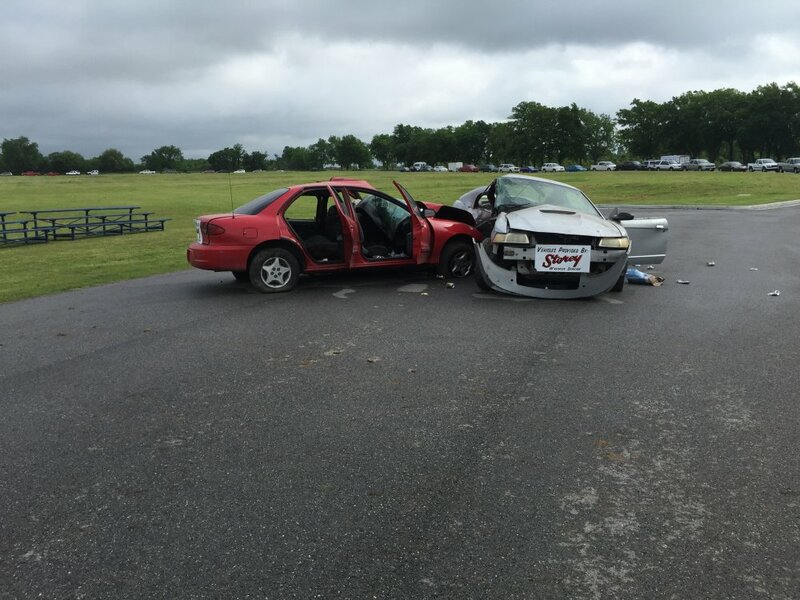 Vehicles were stored on one of two lots, located on East King and Heavy Trafficway. 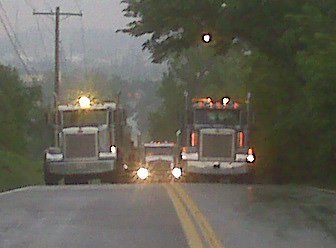 By this time they had six or eight wreckers and decided to bid on the city contract, but were unsuccessful in their first attempt. 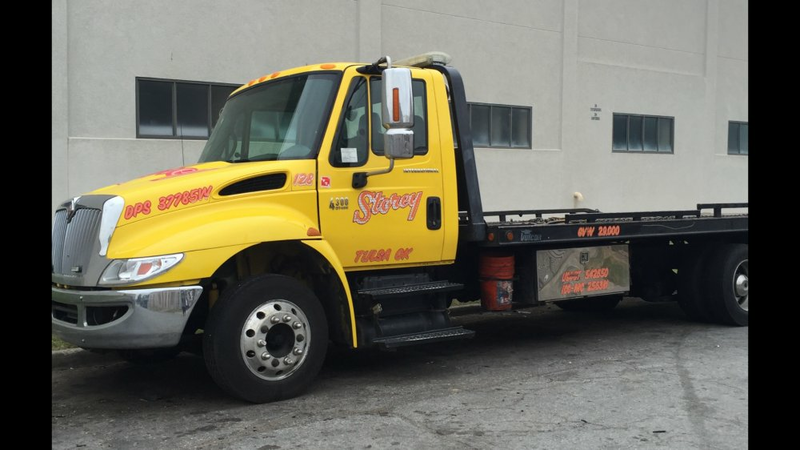 As the wrecker service continued to thrive, the Storeys decided to close their service station business and focus everything upon the wrecker business. Then, in 1973, they won the city contract for Tulsa and have maintained it, except for a short period in the mid-1980s, since that time. 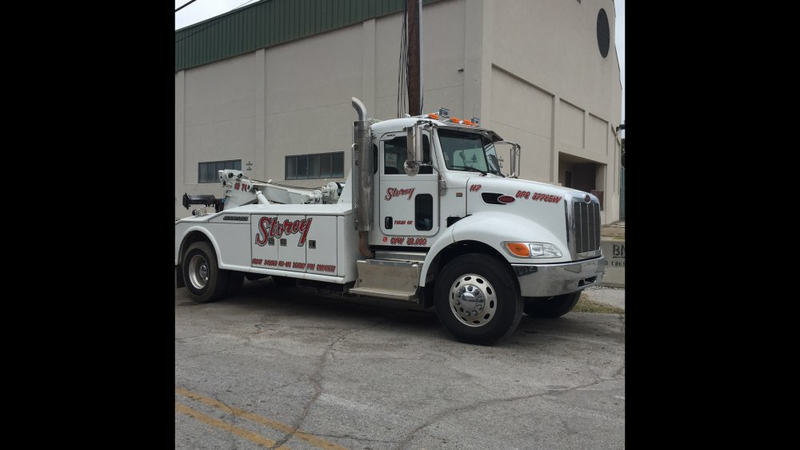 Today the Storeys operate twenty-two wreckers including 4 semi wreckers, making their company one of the largest service of its kind in Oklahoma, and is now located at 11222 E. Pine St. in Tulsa and 775 North Redbud in Broken Arrow. With the growth of their business, the Storey family has enjoyed giving back to their community in meaningful ways, and the unswerving generosity of their father Al has been their greatest example. From offering a hot meal and a $100 bill to.a weary, down-on his- luck patron at the Beacons Cafe, to giving his boots to a surprised service attendant and then walking out in his sock-feet, the stories of his life and example are legendary Jenell helped curb drunken driving statistics through her innovative program, "Storey on Safety,"(SOS) providing free tows for people who have had too much to drink and this was just one of her many passions for helping people. 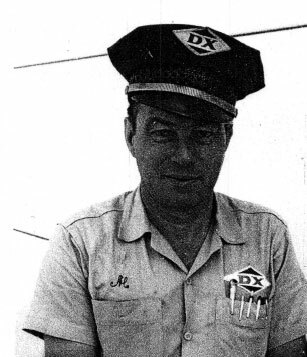 Though the family lost Al in 1998 and Jenell in 1999, children Brad and Lisa continued the company's tradition of excellence and are involved in the American Cancer Society and M.A.D.D., and provide pencils to students that are imprinted with the statement, "Don't Drink and Drive." 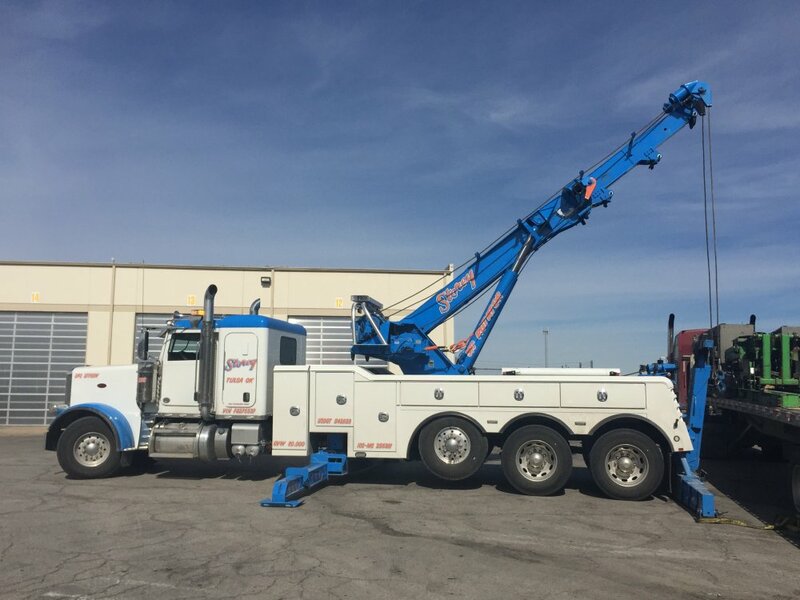 With over 35 well-qualified and invaluable employees today Storey Wrecker Service, Inc. has set the standard for quality and service all across the continental United States and Canada by backing their distinctive service with experience, state-of-the-art equipment and skilled tow-men.